​Cornell architecture professor LeRoy Pearl Burnham (1879-1952) designed this stucco Tudor Revival-inspired home for the family of C. Tracey Stagg (1878-1939) and Madeleine Goff Stagg (1881-1978). 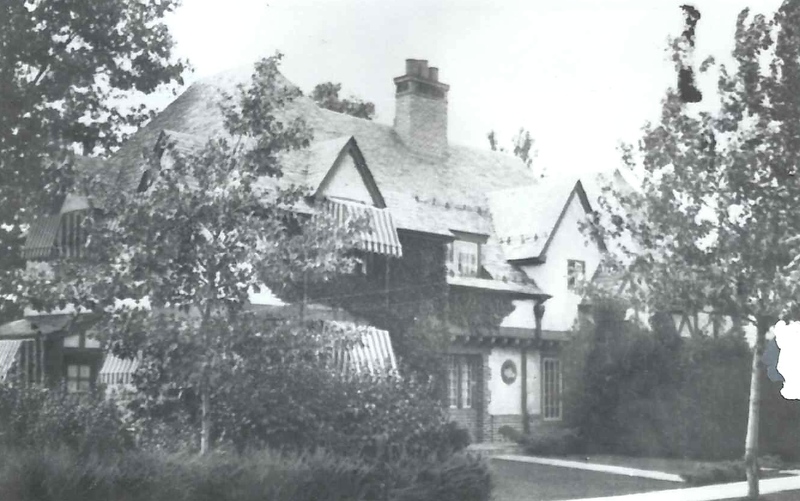 ​Notable Tudor Revival features typical of the period include half timbering, multiple gables, brick trim, prominent chimneys, and slate roofing. ​In 1926, when the Staggs purchased the Western Slope lot, Cornell law school graduate (’02) Tracey Stagg was a partner in an Ithaca law firm. 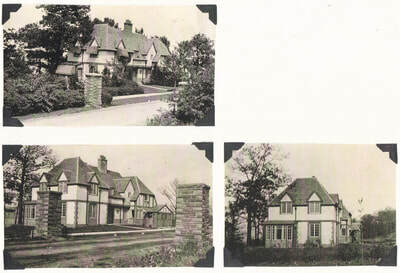 Stagg had close ties to the early development of Cayuga Heights. 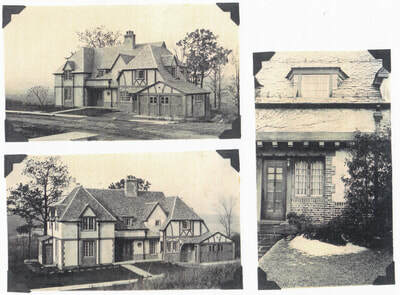 When he came to Ithaca from his home town of Elmira in 1906, he had partnered with lawyer Jared Newman and later served as the first president of the newly incorporated Village of Cayuga Heights. Stagg was on the Cornell law school faculty from 1909 to 1921, when he left to serve in appointed state political positions. He formed the prominent Ithaca law firm of Stagg, Thaler and Stagg in Ithaca in 1931 with Louis K. Thaler (1903-1979) and the Stagg's son, Norman G. Stagg (1905-1967), who later went on to become a long-serving Tompkins County judge. Tracey Stagg was elected New York state senator as a Republican in 1934. The legislator committed suicide in 1939, and news reports at the time indicated that Stagg had been in ill health for several years and was suffering from the stresses of political life. ​Clara “Sam” Burnham, the widow of architect Burnham’s son, Robert H. Burnham (1926-1997), shared the following Burnham family scrapbook photographs of the Stagg home with Cornell architectural historian Bonnie Graham MacDougall, Professor Emeritus, Architecture and Asian Studies. ​Madeleine Stagg received a building permit for the adjoining three-bay garage in 1948 and lived at the family’s Sunset Park home until 1957. Tompkins County Clerk’s Deed Book 211, Page 97, Jared T. Newman and Jane E.W. Newman to C. Tracey Stagg, September 11, 1926.